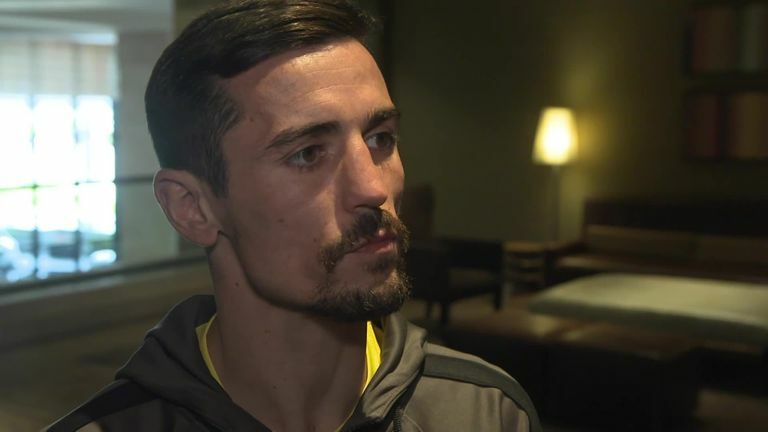 Crolla challenges the Ukrainian for his WBA and WBO lightweight belts at the Staples Center in Los Angeles in the early hours of Saturday, live on Sky Sports. Both fighters had no problem making the 135lbs lightweight limit, with Lomachenko tipping the scales at 134.4lb, and Crolla slightly heavier at 134.8lbs. However, away from the scales Crolla's trainer, Joe Gallagher, took issue with the gloves provided for the fight. "They said they will weigh them later and Joe wants to see them being weighed. He's well within his rights, in my opinion to see that. They are a new brand of glove, so they are not something that we're particularly use to. Gilberto "Zurdo" Ramirez (39-0, 25 KO) and Tommy Karpency (29-6-1, 18 KO) both weighed in at 174.6lbs ahead of their light-heavyweight clash on the undercard. 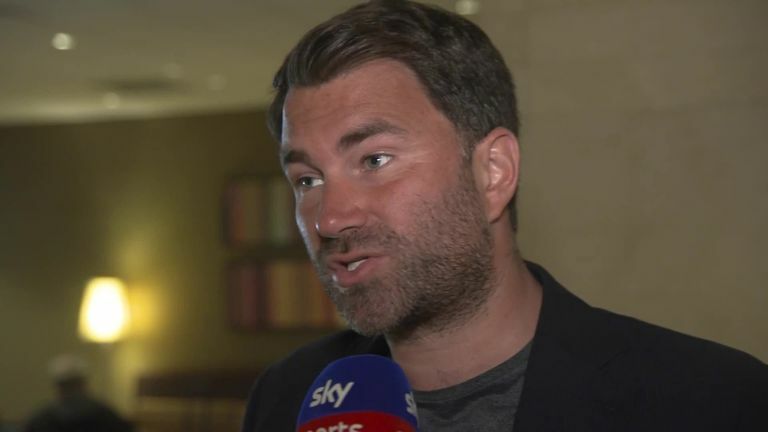 Vasyl Lomachenko defends the WBA and WBO lightweight titles against Anthony Crolla on Saturday morning from 3am, live on Sky Sports Main Event and Sky Sports Action.